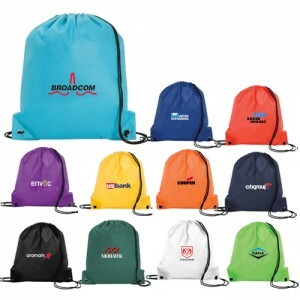 What Makes Custom Drawstring Backpacks A Great Promotional Item? Backpacks have always been popular accessories among not just the young but young at heart as well. Spacious and casual, these make perfect options for office, a day out in the beach or library or even a camping day! 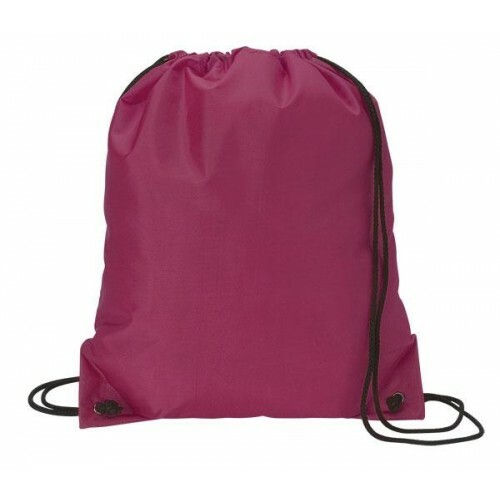 The drawstring models enjoy a cult status in the backpack clan thanks to its attractive color choices and models. 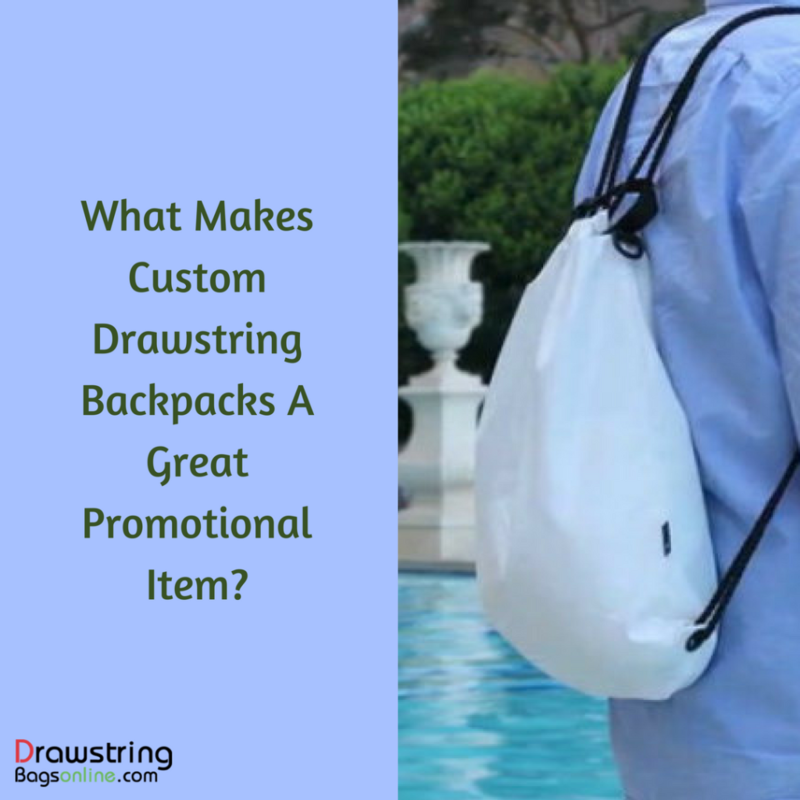 Custom drawstring backpacks have shown us that backpacks are not all about the traditional style school backpacks, or those complicated backpacks that campers use! These compact and sporty looking counterparts of backpacks will change your toting styles forever. 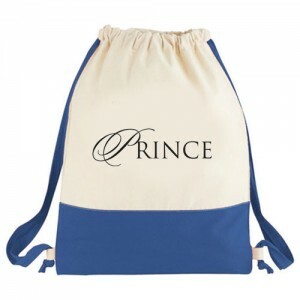 Apart from being a hard to beat personal gift and party favor, logo drawstring backpacks make potent promotional bags as well. Marketers who are looking for a budget friendly logo gift to promote their business will find these practical gifts really useful. 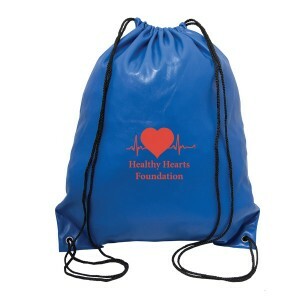 Imprinted drawstring backpacks can be used to promote schools, sports leagues, tuitions centers and fitness clubs among others. The best part is that these budget friendly gifts can also be employed for fund raising events or awareness campaigns as everybody will love these practical items and its attractive sticker price all at once! 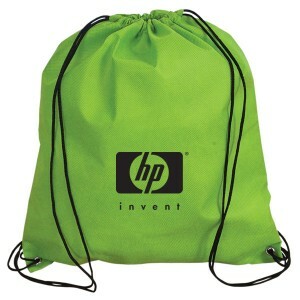 No matter whether it’s the kids at summer camp or teens on the athletic fields, the drawstring bag appeals to everyone. So why not personalize it with your company logo, message and artwork on it to leave a lasting impression in the minds of your customers? 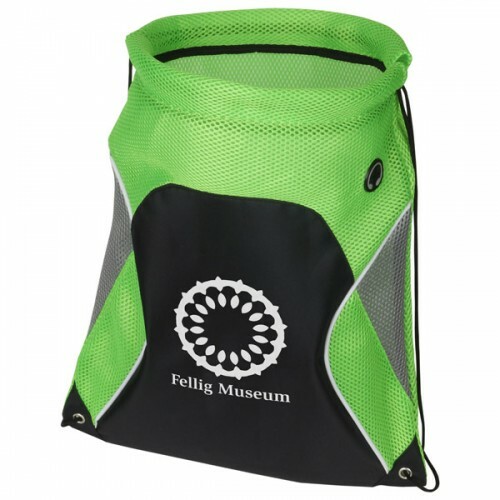 Your recipients will surely love to carry these bags for their outings, concerts, football games or beach, which means that your message is all set for a wide angle display. The string straps are easy on the shoulders and are more comfortable than a shoulder bag. Designed to last long, these custom bags can be hand-washed and will dry quickly. With more companies opting for eco friendly gift items, the popularity of these reusable bags have gone up manifold in recent times. 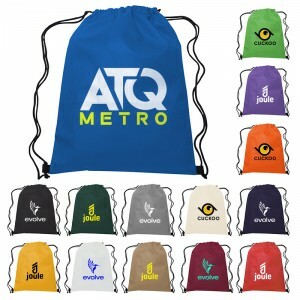 Custom drawstring bags make a perfect “swag bag” stuffed with other promotional items like water bottles, pens, or infact any handy personalized items. Your recipients will surely feel great about your brand for being thoughtful to their needs. 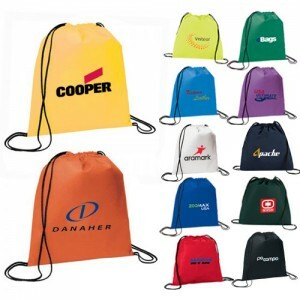 Drawstring backpacks are offered in a range of materials for every promotion and budget including nylon and polypropylene among others. So, if your business has been looking for a logo gift item that ensures ample mileage and exposure, look no further than these promotional items that will never fail to impress your clients. 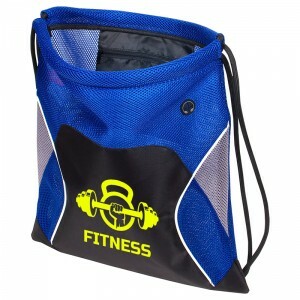 We have a fabulous collection of custom drawstring bags for every need. Place your orders right away and make the most of the spring holidays and the outdoor fun that it brings along!